After the AKP Victory in Turkey: Elective Dictatorship? The results of November 1st snap elections in Turkey were a surprise; not just for the left or liberal opposition who were hoping for a decrease in AKP (governing center-right Justice and Development Party) vote share, not just for the pollsters almost all of whom failed to predict the election results, but apparently also for the party itself. (The exception was A&G Research, which came the closest with 47% for AKP). That AKP increased its vote share by almost 9 percentage points to 49.5% of the vote in the span of 5 months, thus enabling it once more to form a government comfortably by itself, was unexpected to say the least. Being a crucial election with significant implications for Turkish politics, and then with a surprise outcome to top that, election results were covered widely in international and of course, Turkish media. While quite a number of these underlined the conditions of increased violence, unrelenting pressures on the opposition and the press, and how President Erdogan was thought to be fanning conflict to gather nationalist votes leading into the elections, in international media the consensus on the narrative about the elections seemed to be overwhelmingly one of ‘Turkish people casting their votes for stability and peace by electing a one-party government’. In Turkish media, a preoccupation with the question ‘what kind of a message did voters gave with their votes’ was even more pronounced. This focus, of course, is reasonable after unexpected results. Democratic elections are means in which voters convey messages about their preferences as they choose the political elite of the country to do the governing. Yet while understanding why Turkish voters might have acted the way they’ve acted is important, to focus solely on individual voter behavior and rationality is misleading as it leads one to overlook the bigger picture: the larger environment in which not only votes are cast but also strate-gies and choices of voters are formulated. In this case, it is also specifically misleading because it starts with the assumption of a democratic game in Turkey. That, however, is the nagging issue: After 13 years of one-party government (with authoritarian tendencies to say the least) can we really talk about a democratic game in Turkey? It would be hard to claim that Turkey ever had a high quality democracy even before the increased authoritarianism of last several years. With its history of coup d’etats and human rights violations, bogged down by conflict over minority rights, and with the 1982 constitution that set up a statist framework, Turkey has been regularly categorized as an imperfect democracy by experts. Yet while with remarkable problems, it was seen as a functioning democracy with predominantly free and fair elections. The first years of AKP rule were also perceived as steps towards deepening of democracy and Turkey was thought to be in its way to consolidate its democracy further. Yet contrary to those early expectations and to the dismay of its liberal supporters the AKP rule has been marked by significant erosion of democracy. The overall tally of AKP years is very heavy: the party compromised the independence of the judiciary and dominated the bureaucracy, through constitutional changes as well as selective ap-pointments and corruption. Freedom of speech and freedom of press have eroded significantly as critical journalist and activists were jailed non-stop while the compromised judiciary acted according to the executive’s will in countless number of cases. Along with criminalisation, intimidation and coercion, the party leveraged existing patron-client relations with media conglomerates to dominate the media so much so that it is hard to talk of any criticism remaining in mainstream media. The discourse in the government supported media, on the other hand, is said to be dictated directly by the party. Not just in media but also in the business world, subsidies and contracts were doled out to sup-porters while opposition was punished by being left out. At the end, the emerging picture is the merging of party and state and choking of opposition after 13 years of one-party rule. As such, the erosion of democracy can also be seen as an erosion of stateness – with decrease in accountability and rule of law, and with a deep sense of distrust and cynicism spreading in society. The line between what political scientists call an electoral, that is an imperfect but functioning democracy, and a competitive authoritarian regime – a regime where while there are institutions of democracy they are violated so regularly that they cannot be counted as democratic anymore, is tremendously blurry. As such, it is hard to claim that Turkey has shifted from one into another. But there is no question that Turkey is riding that line closely, on the verge of being stuck on one side in that gray zone of polities that appear democratic while being authoritarian. Taking this into account, the election itself takes a different meaning. That voters prefer order and stability to chaos is a no-brainer. The question is why they associate order and stability with AKP rule, as being the governing party it can also be held responsible for violence and economic problems. Yet along with the effect of being the in-cumbent party with access to full use of resources of the state, one needs to consider how the choices of voters are formulated and shaped in a country where majority get their information of politics and current events through state-media and party controlled newspapers, where they exist in public spaces in which discourse is dominated by party propaganda, where opposition views and criticism are blocked out (unless one has ac-cess to internet and seeks them and even then there is censorship), where the one par-ty that presents an alternative vision of politics, specifically in regards to the Kurdish is-sue, is prevented from campaigning by sheer violence. According to Radio and Television Supreme Council board member Ersin Öngel, for example, before the elections, Turkey’s main state broadcaster TRT gave 30 hours of airtime to AKP and 29 hours to President Erdoğan, while the opposition CHP was given five hours of airtime and HDP a laughable 18 minutes. As such, what dominates and shapes public discussion and the stories that majority of voters have access to in Turkey is pretty much party line that is repeated incessantly. It is hard to imagine this not having an effect on how people interpret events. At the end, this is specifically one of the major roles that political parties play: in an extremely complex and specialised world they provide short-cuts for voters by packaging things in neat packages, presenting voters with what is important and what is not, and on ways to interpret them. Of course this only works within democratic limits if voters have access to alternative stories. In the Turkish case, it takes place along with patron-age networks that have been fortified through 13 years of rule, and a conservative voter base (where center right parties as a block almost always take 60% of the vote) who feel affinity towards or share the AKP worldview anyway, all of which working together to solidify one-party rule. That competitive authoritarian regimes use the institutions of democracy, like parliaments and elections, to consolidate their support and power is well known in political science literature. As a Ugandan president once declared, elections are not just to control the elite, but they are a way for the elite to control the people. 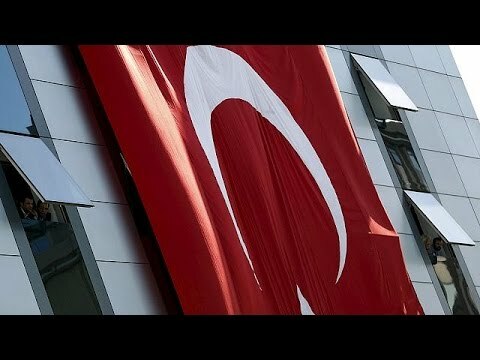 It is important to remember that the snap elections were already forced onto the country by Erdoğan and AKP (with the help of MHP’s Devlet Bahçeli and his uncompromising attitude) who in-stead of enabling the coalition process, worked to prevent it and escalated the conflict with PKK in the mean time. Within this context, the key question was not “what do the people want and what are they communicating with their votes?” The key question was what President Erdoğan wanted. Looking over the news in Turkey in the past week where negotiations for a presidential regime are back on the table, one can say that at the end, he might be on the way to getting what he wanted.